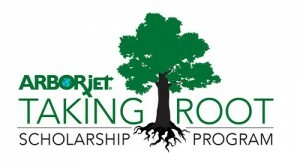 Arborjet, a manufacturer of tree injection products, named the 10 recipients of its Taking Root Scholarships, which has collectively awarded $20,000 in two years. Each graduating high school senior selected won a $1,000 scholarship to pursue full-time studies in forestry, plant sciences, horticulture, entomology, environmental science or a related major at an accredited two- or four-year college. Matthew Ramirez of Alta Loma, Calif., attends Princeton University in Princeton, N.J., and will major in Environmental Sciences. Jessica Robyns of Marquette, Mich., attends Lawrence University in Appleton, Wis., and will major in Environmental Studies. Shirsha Sengupta of Sacramento, Calif., attends California Polytechnic State University in San Luis Obispo, Calif., and plans to major in Environmental Sciences. Michael Shanahan of Pittsford, N.Y., attends Cornell University in Ithaca, N.Y., and will major in Environmental Science. Michael Tilton of Boxford, Mass., attends University of Massachusetts Amherst in Amherst, Mass., and is majoring in Arboriculture. Samantha Woog of Rochester, Minn., attends Duke University in Durham, N.C., and will major in Environmental Sciences.